Hi, I have two Chinese (?) vases, but I know nothing about them. Can someone help me? The first one is decorated with three ladies etc. Size: hight 19 cm, wide 19 cm, bottom 10 cm, mouth 8,7 cm. There is several marks on the bottom. The other one is decorated with flowers. I don't have ecact sizes about it. 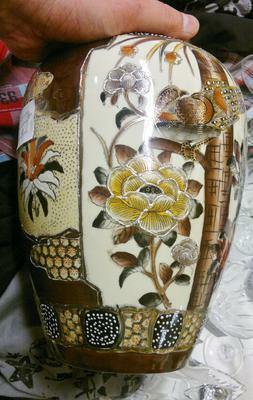 It is about 22-23 cm high, wide about 16 cm. The mark looks like special. Thanks for help! 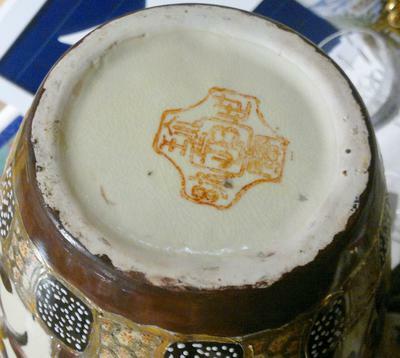 Comments for Two Chinese vases - who can identify? 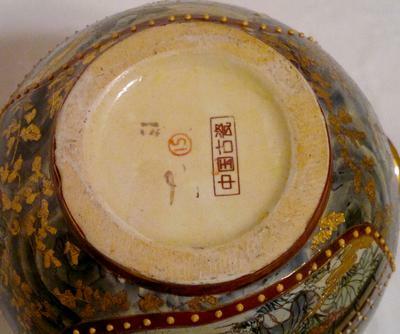 The left one is imitating a Japanese motif and (possibly) Satsuma style decoration. Not sure about the right one. Japanese or imitating Japanese decoration?